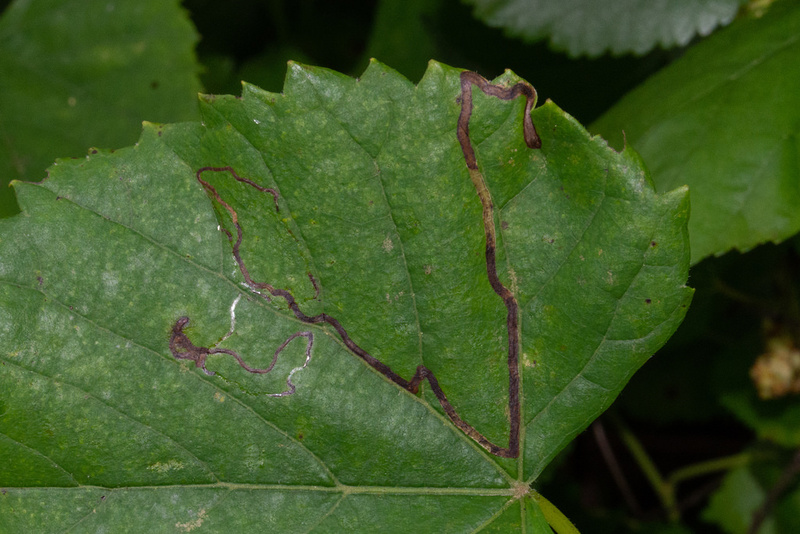 Phyllocnistis vitifoliella leaf mines in Harford Co., Maryland (6/6/2018). Determined by Charley Eiseman/BugGuide. Photo by Austin Jennings.